For most of us, we get up every morning, get out of bed, and take on the direction that our day takes us. We do this by moving from one place to the next through walking. We take walking for granted because it is so automatic, but our legs have muscles that we are not even aware of, until we have a problem and have to seek medical attention. Here are the muscles in our lower leg that help to propel you each day. This is the biggest muscle that is in the tibialis anterior. It gets its blood flow from the arteries in the tiberial artery. This muscle is one of the ones that help the foot flex forward at the ankle and allow the toes to extend. The tibialis anterior muscle comes from the shinbone. It joins the bone in the foot that is known as the first metatarsal which is right behind the big toe. The job of the halluces longus is to stretch out the foot's big toe. It also helps to direct the toes so that they can be closer to the shins. This muscle assists the inversion of the foot which is what happens when the foot shifts to its outer edge. Since this muscle has so much to do with the foot's big toe, if it becomes injured in any way it could affect the way the person walks. This muscle can be found in the front of the leg and its job is to extend the foot from the position of the ankle. It is also responsible for moving the other four toes. If you strain this muscle you will feel it when you try to climb the stairs. You may want to stretch your shin regularly to prevent any inflammation. Toe raises can also help keep it in shape. 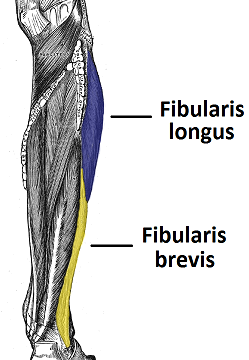 This muscle is also known as fibularis tertius and can be found on the lower portion at the front of the leg. It attaches to the fibula which is one of the two main bones in the lower part of the leg. This muscle has two functions: to assist the toes in the direction of the shin, which is called dorsiflexion, and eversion, which is directing the foot away from the middle of the body. If you have a problem with this muscle it will show up in the form of heel and ankle pain. Apply ice and take a NSAID (ibuprofen) for relief. This portion of the leg has seven muscles in it that are separated into two parts – superficial and deep. 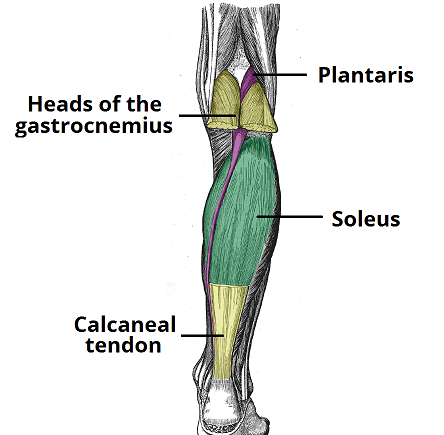 The muscles in this category form what is called the calf at the back of the leg. All of these muscles stem from the heel of the foot through the calcaneal tendon. There are two tendons involved that help to cut down on the friction caused by the movements. This muscle has two parts, the lateral and the medial and they both meet in the middle to form a single muscle. The gastrocnemius is the muscle that is in charge of forceful movements. Whenever you run or jump this muscle is doing its job. Because this muscle is small, slender and runs down the leg, it can be viewed as a nerve by mistake. Around 10 percent of people do not even have it. It stems from the ankle and goes across the knee but is not responsible for any major movements. This muscle can be found inside the gastrocnemius. Because it is flat and large, it looks like a flat fish. It is responsible for plantar flexing the foot from the point of the ankle joint. This area consists of four muscles in the back of the leg. The popliteus works on the knee while the other three are associated with the foot and ankle. This muscle is located on the side of the leg and is actually on the other side of the large toe which it is responsible for moving. It is attached to the plantar of the large toe and it helps to flex it. This small muscle is found in the middle of the back of the leg. It comes from the tibia and joins the plantar surface that attaches the four toes. It works to flex those toes. 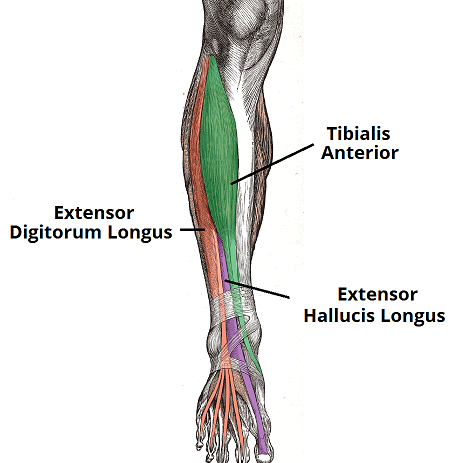 This one can be found between the flexor hallucis longus and the flexor digitorum longus. It is the deepest of all four muscles. It comes from the membrane that lies between the fibula and tibia and the back of the two bones. It is responsible for inverting the foot and keeping the medial arch of the foot intact. This muscle can be found right behind the knee. Its main function is to rotate the femur laterally so that it unlocks the knee joint so that it can bend and move more easily. 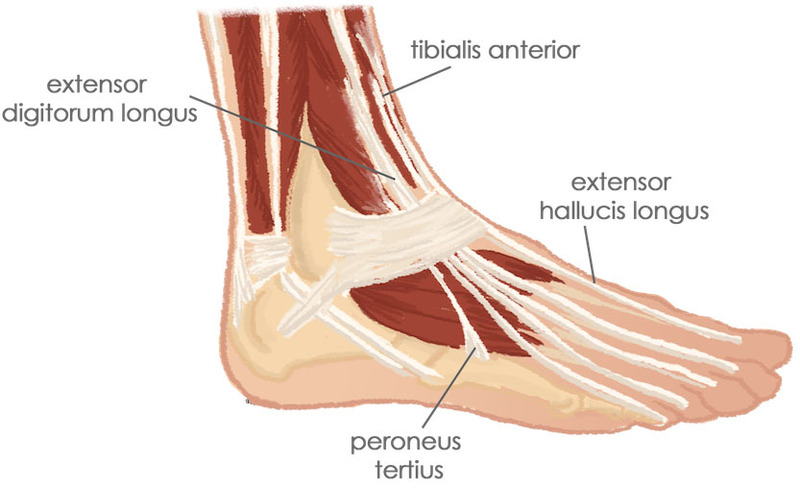 The lateral portion of the leg has two muscles in it and they used to be called peroneal brevis and longus. They are also known as fibularis brevis and longus. Both of these muscles work together to help the foot turn sideways with the sole facing out. 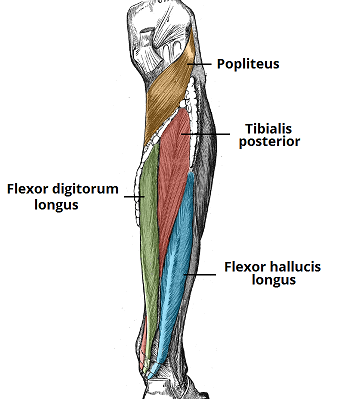 The longer of the two fibularis longus has an unusual course through the leg. It starts at the lateral portion of the fibula and tibial condyle; its fibers join into a tendon that gravitates towards the foot and then crosses under the foot attaching itself to the bottom of the metatarsal. It is responsible for arching the foot. This muscle is shorter and even deeper than its counterpart. It starts at the surface of the fibular shaft then it evolves into a tendon traveling to the bottom of the foot. It ends up on metatarsal V. Its job is to help the foot turn on its side.